This course will teach investors how to create an effective business plan for their real estate business. We call it our Credibility Book, a business plan that details an investor’s strategy, any current holdings, a plan to purchase undervalued assets, case studies and their personal plan on how to purchase future properties and the strategy they utilize to create value for themselves and their investors. Focus on a specific niche. Be able to communicate their plan clearly to potential investors and bankers. Be prepared for their next deal. You will learn from a banker on how he was impressed by our credibility book by the attention to detail and professionalism we exhibited, (the exact model we will be teaching you). It was all there, structured for him and easy to consume and understand. This book separated us from the novice beginner, and helped us to establish those crucial relationships in real estate with our bankers and investors. Other real estate professionals who want to convey their message to their clients. Real estate brokers who want to highlight their strategy to sell homes. Fix and flippers who want to raise private money. Each will all find our credibility book indispensable to delivering the message. Our Credibility Book to model as you build your own. A guide to designing your Credibility Book. Video lessons that show you how to build case studies. Student case study on a 16 unit mom and pop purchase. We have also included video lessons that highlight the success of our case studies and how we structured them. 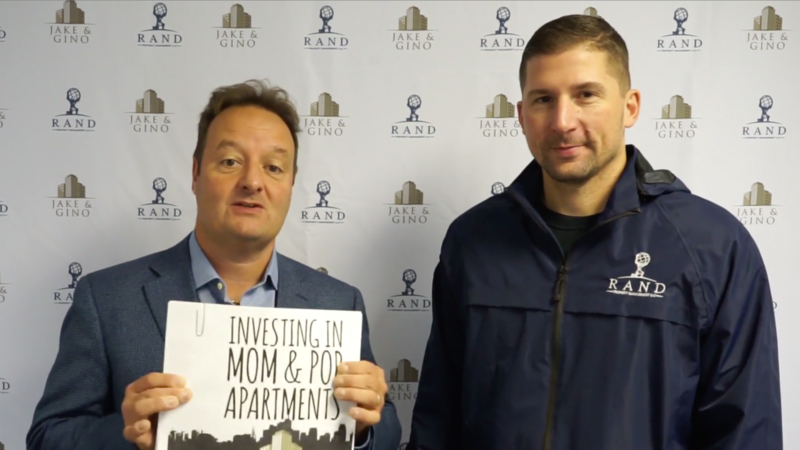 This course was created by Jake Stenziano and Gino Barbaro, #1 Amazon Best-Selling Authors of “WheelBarrow Profits: How To Create Passive Income, Build Wealth, And Take Control Of Your Destiny Through Multifamily Real Estate Investing.” and founders of Jake & Gino, LLC. "I did a credibility book for the 12-unit I'm buying. It really made me stand out to the broker, got me great financing, and honestly helped me get organized for my search criteria. Follow what Jake & Gino say and you'll get a deal!" A course for real estate investors on how to create an effective business plan that gets the results they want.